Among the many books about money,Cara MacMillan takes a rather unique route to exploring the attitudes about money among a diverse group of school children. I found this setting interesting. Through the eyes of kids who come from diverse cultural and religious backgrounds, she explores how our attitudes about money are formed very early in life and are heavily influenced by our family, religion and communities we most identify with. Sound familiar? While there are many similarities about money – especially the emphasis on charity – across the world’s many faiths and cultures, there are also significant differences. These differences exist even within the same country. This explains partly, why every country has a rather familiar bell curve of people on the money success scale. If you have right attitudes about money and its principles, then it doesn’t matter if you are in India or Indiana, whether you identify yourself as a Christian or Muslim, and whether you identify culturally with America or Armenia. You are likely to reach financial success in any of those countries and within any cultural and religious boundaries. It is interesting to see young children voice those formative beliefs about money. The later chapters offer a simple, and yet practical, guide to taking responsible decisions through a series of pointers about earning and saving money. While the advice may be a bit naive for seasoned investment experts, for the large number of people out there struggling with personal finance, this book will encourage you to take a little walk down your own formative early years and correct any long-held, self-limiting beliefs about money. If you are interested how to ‘unlearn’ some of your deep-set, limiting attitudes about money, Cara MacMillan’s new book It’s Only Money will be a great addition to your library. You can also give it to your family and friends who need to get the money basics right. It’s available on Amazon. 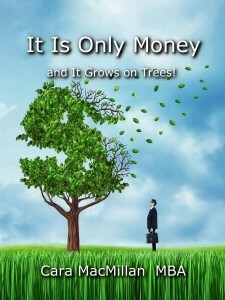 Cara P. MacMillan’s It Is Only Money: And It Grows on Trees! is a well-written and imaginative multi ethnic and multi cultural look at acquiring wealth. I loved the give and take between Catherine, the teacher, and the diverse group of students who are in her class. Through this device, the author explores the role of money in Hindu, Christian, Jewish, Muslim and other religions, and discusses how the biblical story, The Parable of the Talents, can be used as a way to explore one’s own talents and ability to actively make money. MacMillan’s thoughts on passive income streams, investments, and finding one’s passion as opposed to merely doing a job one hates are well-presented and include cautions about the hidden charges and fees that may deplete your savings or investments. Her ideas on possible cottage industries had me brainstorming and thinking about growing my own money tree. It Is Only Money: And It Grows on Trees! is highly recommended. An insightful book that forces you to think about how you perceive money, how that impacts your behavior, and what other options there are out there. I really appreciated the look at how different cultures and religions approach money and what you can learn from each. I feel like I know a lot about money because I’m a frugal living blogger and spend my money very carefully. It wasn’t until reading this book that I began to think about why I view money the way I do. MacMillan brings different cultural and religious viewpoints about money into this book and it opens up a whole new way of thinking about money. It’s an easy read while still being enjoyable. 5.0 out of 5 starsChanging the way you think about money! It’s Only Money, takes a different look at personal finance. The story reads like a Money Novel and makes intimidating and complicated money subjects easy to understand. This book gives you a different perspective of money. You re-learn about handling money through the eyes of different cultures, beliefs, and religions. This is the money class we all should have gotten in school. Cara gives real-world examples of money situations, from around the world, literally! And the actionable workbook at the end will help you take a look at your current relationship with money and how your values are tied to it. If you’re looking for a book about money, this one is a must-read. It is well worth the price because the knowledge you’ll get from this book is priceless. I think this book does a very good job of initiating a conversation about the way different cultures view money……and the relationship we each have with it. I also think there is a solid attempt to increase awareness/understanding about different cultures and religions. I personally believe that “different” people aren’t as scary once you understand what makes them tick, by getting to know them. I enjoyed this book and encourage others to read it, and in doing so reflect on their own relationship with money. After getting my hands on a free copy of the book (which did not affect my reviews in any way), being a personal finance enthusiast, I gave it a read on a weekend and absolutely loved it. 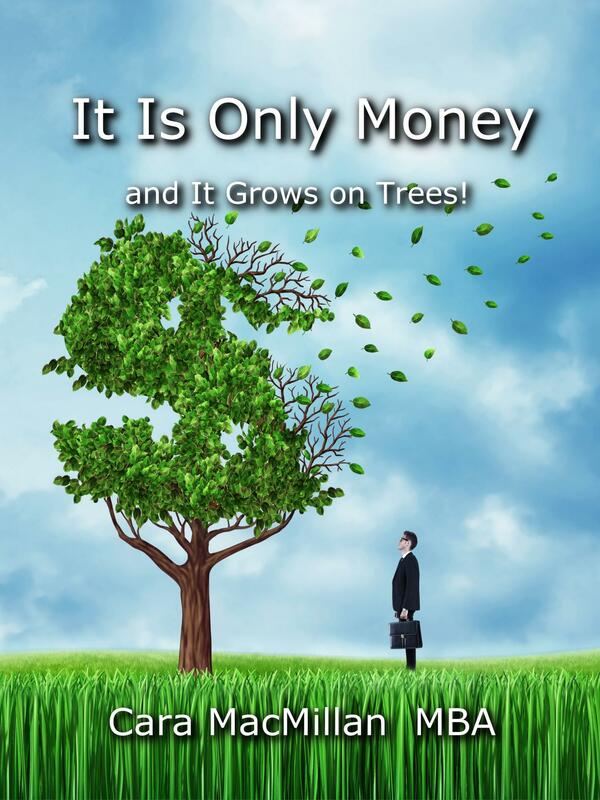 “It is Only Money and It Grows on Trees” is an excellent example of how the concepts of Money and Personal Finance can be explained in a layman’s terms. The book deals with the context of money in the real world and how different people have different attitudes towards money. What does money mean to different people? I was fortunate enough to score a review copy of this book and was pleasantly surprised. Very thoughtful and thorough analysis about money around the world. Well told and interesting, and a quick read. Receiving a review copy in no way affected my review. I really enjoyed this quick read. Not your typical book on money and investing, the author does a great job of presenting a lot of information through various conversations between a group of students and their teacher. I liked the style of the book because it made me feel that I was actually part of those conversations. I learned quite a bit about the different views of money in the Muslim, Jewish, and Hindu cultures, as well as the varying ways we as Americans view money. The workbook at the end has some great tips and exercises. Disclosure: I received a copy for review. The book takes a novel approach to explaining money to readers. In the context of a classroom discussion, the role of money across cultures and religions is explored. It was interesting for me to read some of the religious perspectives on money – especially the Hindu philosophy – and also to read how author Cara MacMillan compares Christ’s parable of the talents to using our own talents. Any time there’s a comparison using religion, there’s always the danger of taking things out of context, and I have no way of knowing whether or not that’s the case here for the Muslim, Hindu, or Jewish perspectives. I do know that I haven’t ever heard the parallel made between this parable and our own income, so it did provide a very different viewpoint. I did like the encouragement to find a passion instead of just doing a job, and I thought the book was a very clear and comprehensible read. Quick and brief book that highlights the different views on money with a clever tie in to religions around the world. I would recommend you check it out.